Our development team works hard to make things simple for our customers. Some of our most recent updates include Activities: an way to stay compliant, whilst giving managers an overview they can’t get elsewhere. More recently, we announced Notifications, a quick-glance way to see any updates on an account that haven’t been read and/or actioned. Now we have taken this one step further, with a Notification Emails: A daily digest, sent by email, so that customers know if there is anything they need to check and read or action in the Dashboard. It is also a great way for managers to update team members with work that needs doing, inspections to carry out, and compliance activities that require attention. During the last few years, we have noticed a similar problem for large and small companies. Not enough time. Compliance, health, safety and risk management activities require time that many organisations don’t have. Forcing them into situations where compliance and safety is put at risk, or delivered in a haphazard fashion, sometimes with disastrous consequences, that can cost millions, even billions, to fix. Notifications can’t do the required work, but we are already seeing managers take action faster, to ensure corporate compliance is up to date. Greater oversight and transparency throughout organisations reduces risk. With Notification Emails, we ensure peace of mind in your inbox. 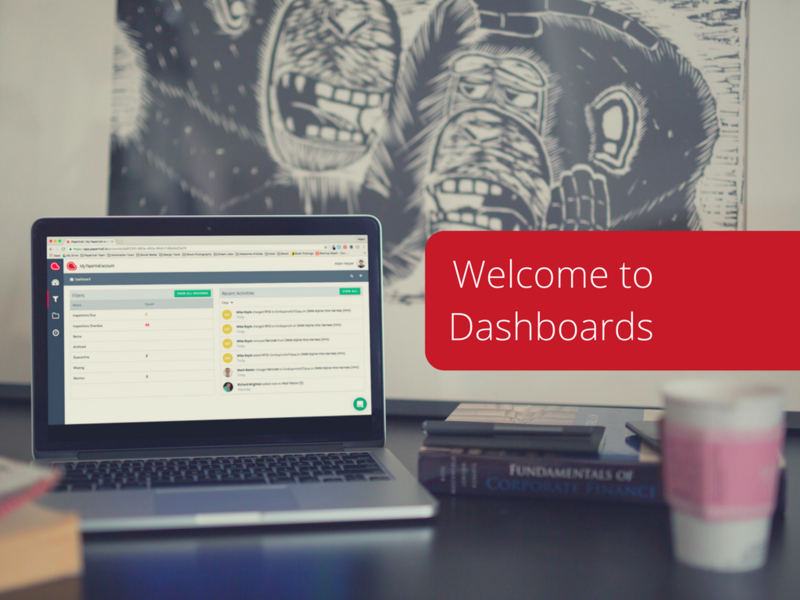 Given all the changes, we thought the Papertrail app and web dashboard needed a refresh. Not only does this include a shiny refresh, but we have made it easier for customers to navigate the Dashboard. Listening to feedback and reflecting on the user-experience keeps us on our toes. New functionality also more closely integrates existing features with Notifications and Activities. 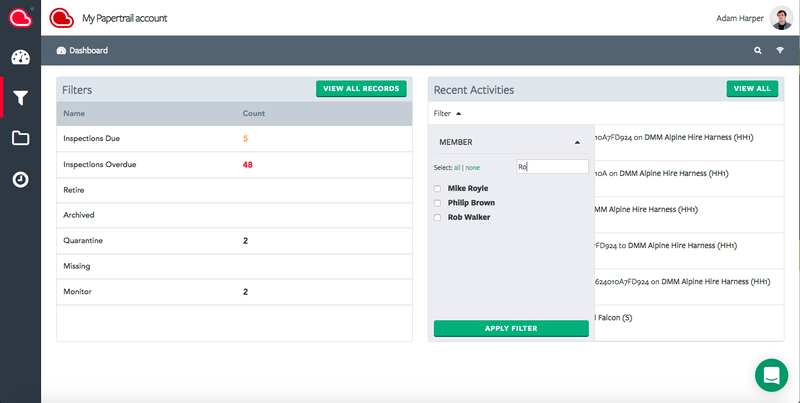 In the coming weeks and months, thanks to the enhanced dashboard, we will be rolling out solutions that highlight other transparency issues our customer face. 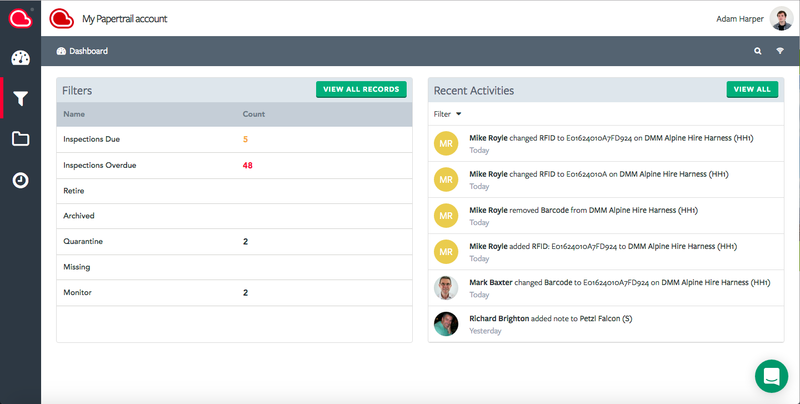 Managers will be able to see more pertinent information at a glance, such as how long an asset has been marked out of action, how often problems occur and when they occur, and data on the time staff take to respond to notifications, requests and inspections. More of this data can be displayed visually, using graphs, pie charts, and other easy-to-view features. Remember to bookmark the Papertrail Changelog, to find out first when our development team launch another useful product update. Do you need more, real-time information about assets, compliance and health and safety? Contact us today, to see how Papertrail can help your organisation.